Obsolete marketing term for a higher grade of fit and finish for tube-bending tooling sometimes needed for high-pressure and exotic metal tube-bending applications frequently found in the aircraft industry. Modern machining technology has improved readily attainable levels of quality to the extent that “aircraft quality” can be applied to the production of all tube-bending tooling. 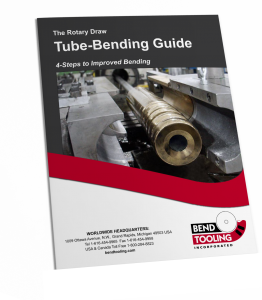 Often the term now refers to tube-bending tooling that features older characteristics once preferred by the aircraft industry, such as solid-bodied mandrels and wipers instead of inserted ones.